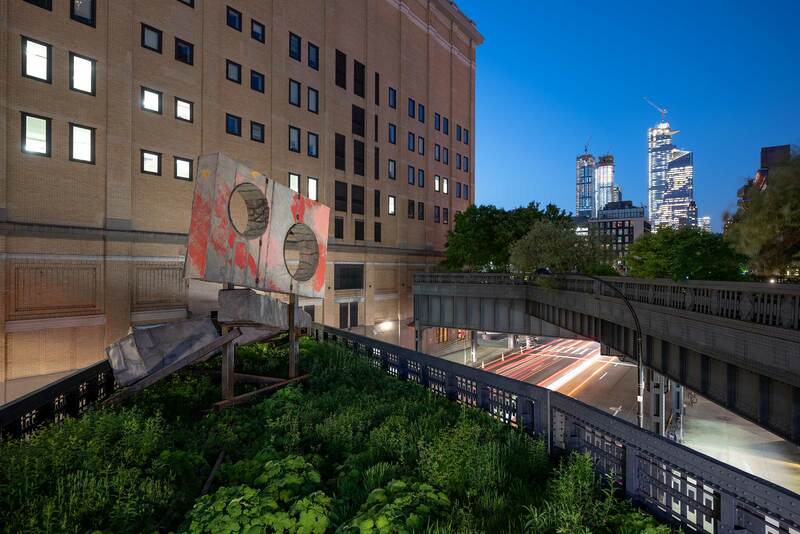 Working with emerging and world-renowned artists, we commission and produce new work specifically for the High Line each year. These sculptures, installations, murals—and more—challenge traditional notions of public art in both playful and critical ways. 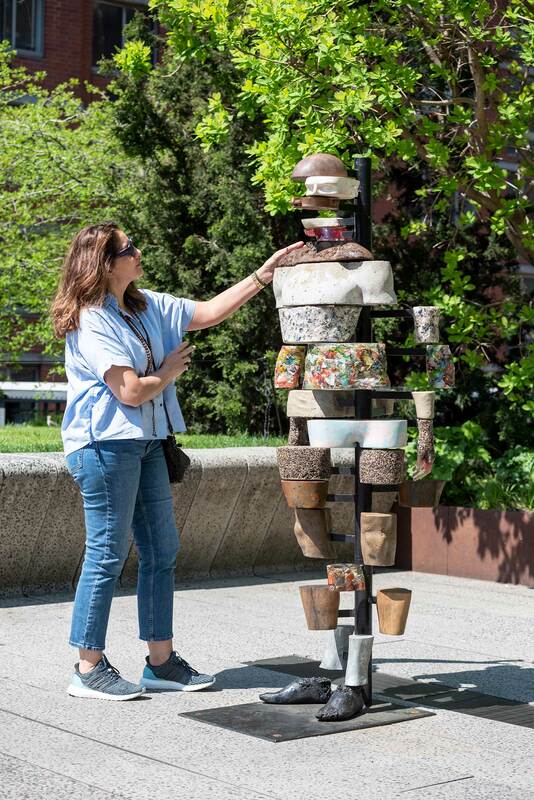 High Line Commissions are regularly on view for one year, providing new perspectives on each work with the passing seasons. Past commissions include works by El Anatsui, Carol Bove, Barbara Kruger, and Nari Ward, among others. An open-air group exhibition that broadens and challenges the tradition of outdoor painting. Ruth Ewan presents Silent Agitator, a clock that pays tribute to labor history. 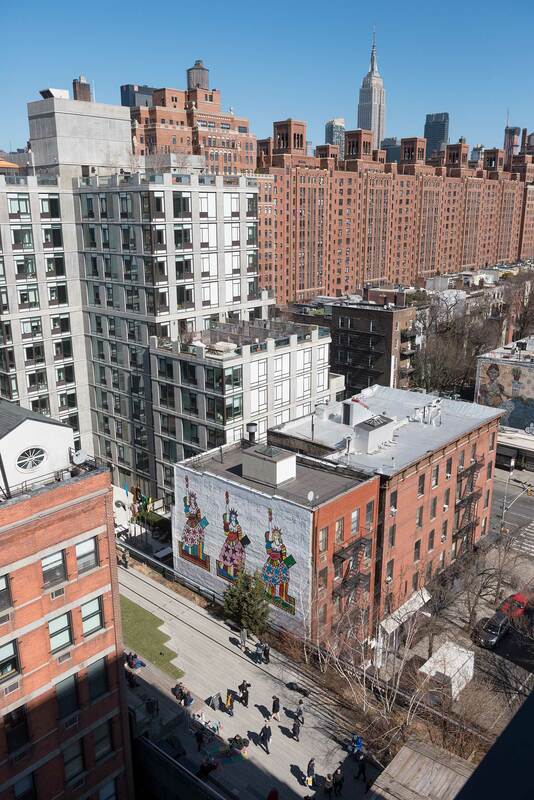 Dorothy Iannone presents her first public art work in the form of a mural depicting three colorful Statues of Liberty. 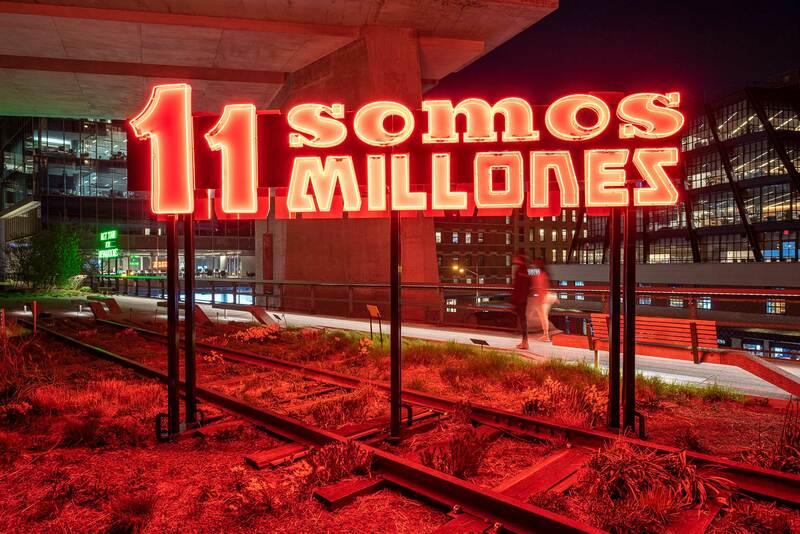 Everyday at dusk, on the High Line on 14th St., we screen a rotating selection of video art, including both new and historic works. 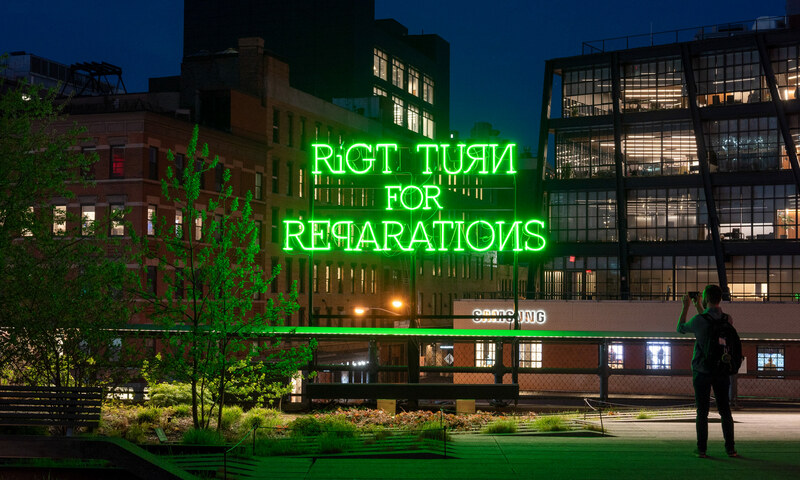 Artists create participatory, dynamic performances and transformative experiences that take advantage of the High Line’s setting.